1984-94. Research associate, Department of Agronomy, Yangzhou University, China. 2002, 2003. Biostatistics and Computer Applications. Department of Botany and Microbiology, University of Oklahoma. 1995. Quantitative Generics, Yangzhou University, China. 1998. Guest Teaching Assistant for Dr Luo: Computer acquaintance and applications in biological sciences. Department of Biology, University of Nevada at Reno. Interannual Variability in Net Ecosystem Exchange in Colorado Subalpine Forest: Partitioning into Causes between Climatic Variability and Functional Changes. 2003-2004, $126,000. National Institute For Global Environmental Change (Co-PI. 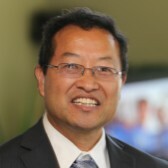 PI, Y. Luo). 1999 Second Class Achievements Award of Science and Technology Improvement, National Education Committee of China. 1997 Second Class Award of Course Construction, Jiangsu Education Committee. 1996 First and Second Class Award of Course Construction, Yangzhou University. 1995 Excellent Personnel of College Laboratory System, Jiangsu Education Committee. 1988 Third Class Award of Agricultural Science and Technology Improvement, the Ministry of Jiangsu Agriculture. 1987 Excellent Youth, Youth Organization of Jiangsu Agricultural College. 1984 Excellent Student, Xuzhou Agricultural School. Miao, S., Y. Luo, Y. Liu, D. Hui. 2002. Structure and Functional Response of Plants to Global Climate Change. Pp. 121-143. In Wu, J. and X. Han (eds). Lectures in Modern Ecology: From Basic Science to Environmental Issues. Science Press, Beijing. China. (In Chinese with English abstract). Gu, S., D. Hui, H. Mo, 1998, The Optimal Fitting of the Nonlinear Equation with Contraction-Expansion Algorithm, Acta BioMathmatica, (in English with Chinese abstract). Hui, D., C. Jiang, 1996, Practical SAS Usage, Beijing University of Aeronautics & Astronautics Press, Beijing, China. Hui, D., 1994. Textbook, SAS and its application. Agricultural College, Yangzhou University, China. Hui, D., 2002, Experimental and modeling studies of canopy radiation and water use efficiencies, soil respiration and net ecosystem carbon exchange, Ph D. Dissertation, University of Oklahoma. Hui, D., 1994, Genetic Analysis for Filling Degree of Paddy Grains, Master Thesis, Yangzhou University, PR China. Luo, Y., B. Medlyn, D. Hui, D. Ellsworth, and J.F. Reynolds. Elevated [CO2] increases canopy carbon uptake in the Duke Forest. In the 16th International Botanical Congress held at St. Louis, MO, August 1-6, 1999. Wan, S, D. Hui, and Y. Luo. Fire Effects on ecosystem nitrogen cycling: A meta-analysis. In the 16th International Botanical Congress held at St. Louis, MO, August 1-6, 1999. Luo, Y., D. Hui, W. Cheng, J.S. Coleman, D.W. Johnson, and D.A. Sims. Canopy quantum yield in a mesocosm study. In International Conference: Advances in Plant Ecophysiology held at York, U.K. Sept. 7-9 1998. Hui, D., Y. Luo, W. Cheng, J.S. Coleman, D.W. Johnson, and D.A. Sims. Quantum yield, canopy development, and carbon fluxes in a mesocosm study. In annual ESA meeting held in Baltimore, Maryland 2-6 August 1998. Abstracts of the Ecological Society of America p.178. Hui, D., Y. Luo, J.T. Ball, W. Cheng, J.S. Coleman, D.W. Johnson, D. Schorran, D.A. Sims, and L. Sotoodeh. ECOCELL study III: Interactive effects of canopy development and elevated CO2 on ecosystem carbon fluxes. In 3rd International IGBP-GCTE Workshop: Critical Assessment of the Response of Forest Ecosystems to Elevated Atmospheric Carbon Dioxide, Duke University, North Carolina, October 10-13 1997.